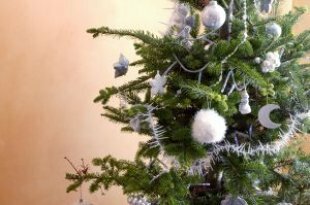 Get Creative for the Holidays in Lexington! 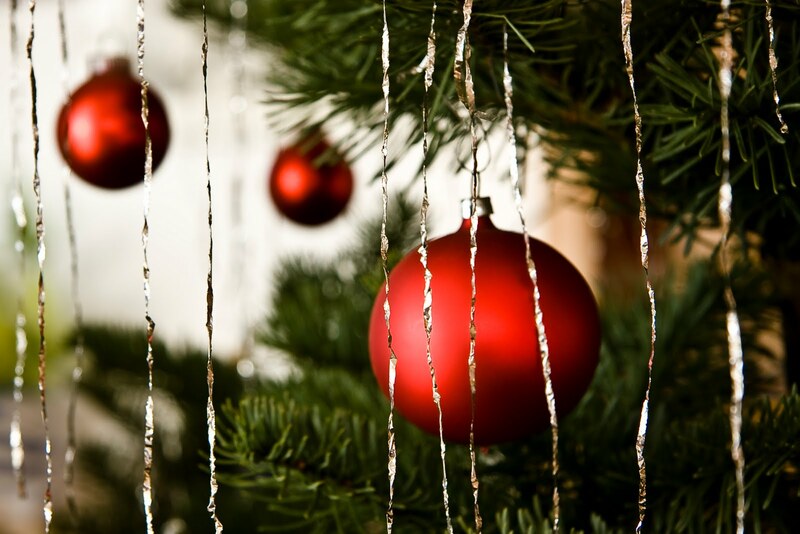 Not only is Lexington, Massachusetts a city with a rich American history, but it is also a great place to be during the holiday season. If you’re desperately trying to find a perfect gift for that special someone, or if you’re looking to relax and get involved in some winter art classes, Lexington has just the thing you need. 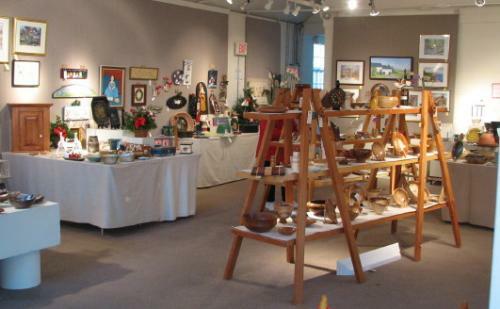 Celebrating their 75th Anniversary, the Lexington Arts and Crafts Society offers plenty of opportunities for you to get creative this season. Enrich your artistic talents by signing up for a class or workshop and teaming up with an expert art instructor! The Lexington Arts and Crafts Society offers classes and workshops for drawing, painting, silversmithing and jewelry. You will also have the opportunity to learn decorative painting, weaving, or wood carving. 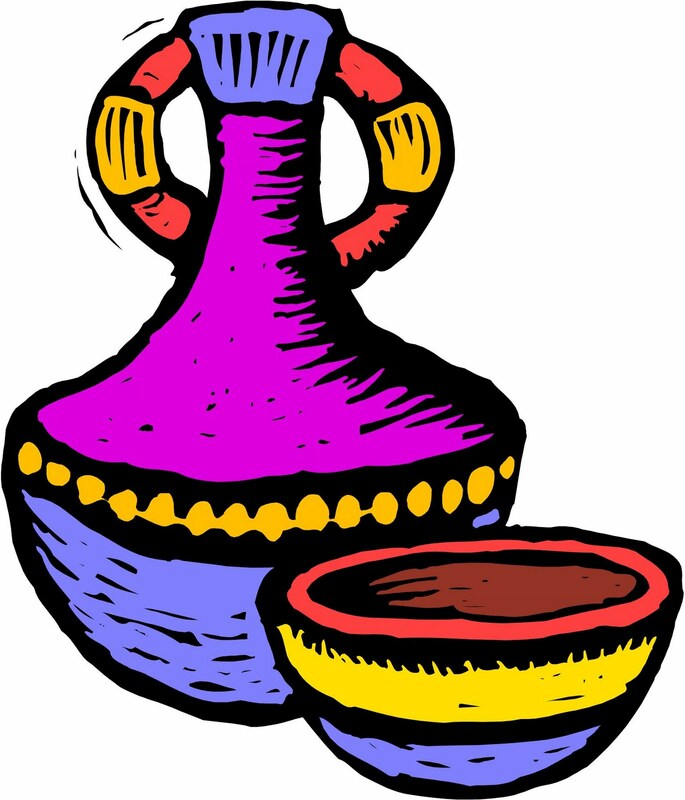 Specialized classes for teens include ceramics, weaving, and a polymer clay workshop. Remember: If you can’t find that perfect holiday gift, you can always make it! The Lexington Arts and Crafts Society is also sponsoring the 3rd Annual Soup Bowls for Hunger. 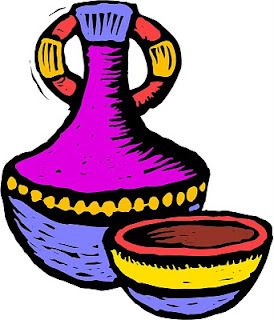 Since September, the Ceramics Guild and Teen Pottery class have been working on handmade ceramic bowls, which are now on display and for sale at Nourish restaurant. These carefully crafted bowls are microwave and oven safe and on sale for $15. Best of all, 100% of the proceeds will go to Lexington Interfaith Food Pantry. On sale until December 31st or until supplies last, these very special holiday gifts serve a wonderful purpose. 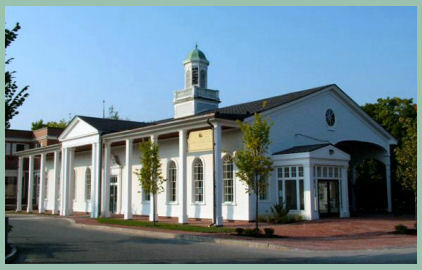 Nourish restaurant is located at 1727 Massachusetts Avenue in Lexington Center. December 3rd marks the beginning of the Annual Holiday Marketplace, where thousands of handcrafted gifts will be available for purchase. Gift options include handmade baskets, paintings, cards and prints, unique fine jewelry, ceramics, woodworks, and much more! Gift certificates are available and there will be a Victorian Doll House Raffle. Admission and parking are free of charge! For more information about any of these events and activities, be sure to visit Lexington Arts and Crafts Society’s official website. Don’t give up hope yet if you have not finished all of your Christmas shopping! You’re sure to find or create just what you’re looking for here in Lexington. Living in Lexington and experiencing this community during the holidays brings a wonderful feeling that you won’t find anywhere else. If you’re looking for a piece of Lexington Real Estate to call your own, be sure to contact me! I would love to show you around. 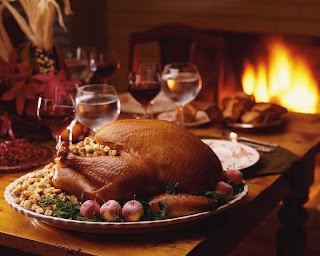 Thanksgiving Day Restaurants - What's Open in Arlington, MA? Arlington, Mass. — Courtesy of Anne-Marie Seltzer, The Arlington Advocate. The following restaurants will be open: Classic Café, The Diner at bagels by US, Jam ‘n Java, Manna Sushi, and Pasha. Broadway Diner will be open from 7 a.m. to 11 a.m. …Cakes Bakery/Café will be open in the morning. Little Q Hot Pot and Szechuan House will be open regular hours. Punjab will serve dinner only beginning at 1 p.m. Quiznos Sub will be open from 11 a.m. to 3:30 p.m. These restaurants will be closed: Arlington Restaurant and Diner, Bella Moto Baking, Blue-Ribbon BAR-B-Q, Buona Vita!, The Chilly Cow, Flora, Francesca’s Kitchen, Fusion Taste, Gemma Italian Ristorante, Lakota Bakery, La Posada Restorante, The Meat House, Mi da mi Asian Cuisine, Mr. Sushi, Not Your Average Joe’s, Panera Bread, Prose, Quebrada Baking Company, Ristorante Olivio, Scutra, Shanghai Village, Tango, Thai Moon, Tryst, Za, and Zocalo Cucina Mexicana. Arlington Restaurant and Diner will close at 3 p.m. on Wednesday, Nov. 24. Flora and Prose will prepare starters, sides, and desserts for your holiday. Information follows. Arlington Bakery, 187 Mass. Ave., offers apple, cherry, mince, pecan, pumpkin, ricotta, squash, and strawberry rhubarb pies. Please order four days in advance. Open November 24 from 8:30 a.m. to 6 p.m. Call 781-646-7444. Bella Moto Baking, 916 Mass. Ave., has apple, chocolate cream, lemon meringue, pear cranberry, pecan, and pumpkin pies for Thanksgiving. Order by November 21. The bakery will be open from 7:30 a.m. to 6 p.m. on November 24. It will reopen at noon on Friday, Nov. 26. The holiday menu is available. Call 781-646-2253. Blue-Ribbon BAR-B-Q, 905 Mass. Ave., has sweet potato, pecan, and Key Lime pies for the holiday. A family dinner with smoked turkey breast, cornbread stuffing, gravy, smashed potatoes, and butternut squash will be available for pickup on November 24. For prices and ordering information, go to the Web site or call 781-648-RIBS. …Cakes Bakery/Café, 795 Mass. Ave., will have apple and sweet potato bourbon pies, pumpkin cheesecake, and apple maple cake. Please place your orders one week in advance. Call 617-337-9540. The Chilly Cow, 451 Mass. Ave., is accepting frozen custard pie orders for Thanksgiving. Flavors include Death by Chocolate, Cookies and Cream, Pumpkin Pecan, Peanut Butter Lovers, and Coconut. Order early so you won’t be disappointed. Pies can be picked up on November 24 until 9 p.m. Call 781-648-4360. Classic Cafe, 1313 Mass. Ave., will be open from 7 a.m. to 2 p.m. Breakfast will be served all day. For $9.99, customers can get a complete turkey or ham dinner between 11 a.m. and 2 p.m. Dinner includes homemade stuffing, mashed potatoes, gravy, cranberry sauce, and vegetables. A lamb shanks dinner with rice and grilled vegetables is also available. Take-out meals should be ordered two days in advance. Walk-ins are welcome. Call 781-646-7871. The Diner at bagels by US, 789 Mass. Ave., will be open from 6 a.m. to 11 a.m. A light breakfast will be available to eat there or take out. Call 781-646-2662. Flora, 190 Mass. Ave., will help you with dinner. Get the special form at the restaurant, fill it out, and return it by email, fax, phone, or in person by Sunday, Nov. 21. Pick up your order on Tuesday, Nov. 23, between 2 p.m. and 6:30 p.m. at the Lexington Farmer’s Market at Season’s Four Store, 1265 Mass. Ave., Lexington. Menu offerings include Spiced Winter Squash Soup, Traditional Gravy, Chestnut Stuffing, Whipped Ginger Sweet Potatoes, Cranberry Apple Crumble, and Ginger Ice Cream. Prices range from $6 to $13. Call 781-641-1664. Francesca's Kitchen, 164 Mass. Ave., will have turkey and chicken potpies that serve three or four persons for $14.95. 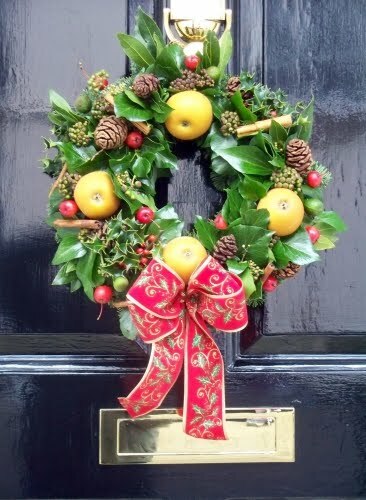 Order by November 22 for pickup on November 24 between 11 a.m. and 8 p.m. Call 781-648-0005. Jam ‘n Java, 594 Mass. Ave., will serve coffee and pastries from 6:30 a.m. to noon. Call 781-316-8400. Lakota Bakery, 1375 Mass. Ave., has chocolate pecan pies for $17, turkey, football, and maple leaf-shaped shortbread cookies, and chocolate-dipped teepees. Order pies two days ahead. Bakery hours will be 8:30 a.m. to 8 p.m. on Wednesday, Nov. 24. Lakota will open at 10 a.m. on Friday, Nov. 26. Call 781-646-0121. Manna Sushi, 9 Medford St., will serve dinner from 4:30 p.m. to 10:30 p.m. Call 781-648-8878. The Meat House, 1398 Mass. 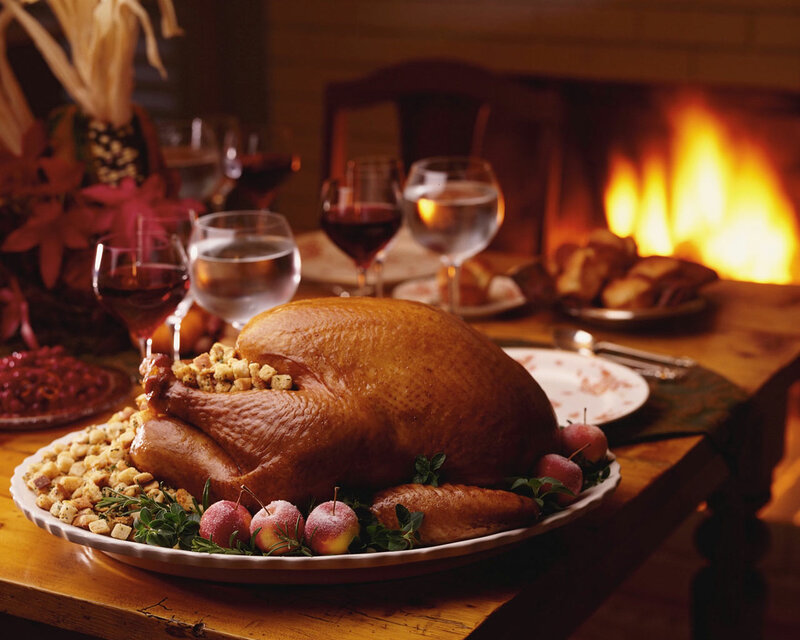 Ave., is now accepting orders for turkeys from Plainville Farms. The turkeys are fresh, all natural, free of antibiotics and growth hormones, and weight 10 to 30+ pounds. Orders will be taken until the supply runs out. Cranberry sauce, gravy, stuffing, sweet and mashed potatoes, and other sides will be available and do not have to be ordered in advance. The dessert selection includes pies, cookies, ice cream, and other treats. Call 781-643-6328. Pasha, 669 Mass. Ave., will be open from 11 a.m. to 10 p.m. Call 781-648-5888. Prose, 352 Mass. Ave., has an “Everything But the Turkey” catering menu with starters, sides, and desserts. Call or stop by the restaurant for menu specifics. The deadline for orders is November 18 for pickup by arrangement. Call 781-648-2800. Quebrada Baking Company, 208 Mass. Ave., has turkey-shaped shortbread, chocolate-dipped pumpkin-shaped shortbread, gift bags of shortbread cookies, and loaves of pumpkin bread. Apple, pecan, and pumpkin pies and petite and regular Thanksgiving-theme cupcakes in chocolate and yellow are available. Order pies at least one week in advance. Order cupcakes two days in advance. Pumpkin whoopie pies are available for the holiday and throughout the winter. The bakery is open November 24 from 6 a.m. to 6 p.m. Call 781-648-0700. Giving Back in Lexington Shows a Thankful Holiday Spirit! Lexington’s historic past has carried with it a sense of pride in our country to today’s Lexington residents and with the season of Thanksgiving upon us; many decided to band together to give back. This past Saturday, November 20, over 200 volunteers gathered at the Hanscom Air Force Base during the Operation USO Care Package event. This opportunity to give back has been taking place since 2003 and more than 1.5 million care packages have been sent to troops. 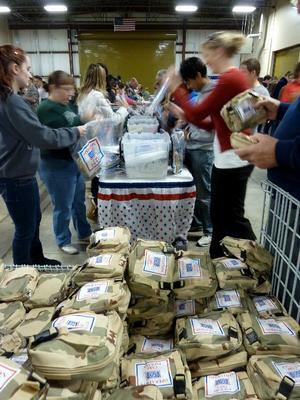 The Lexington volunteers formed assembly lines and with a sense of purpose and joy in the air; they created 10,000 care packages that will reach deployed military personnel in Iraq and Afghanistan by December 3rd. Students at the Hanscom Middle School were happy to participate this year and kicked off the day at 8 am with their rendition of the national anthem. Volunteers enjoyed donuts and coffee to get things going and they finished their goal by 11am! Local business Lockheed Martin Informational Systems and Global Services (IS & GS) sponsored the event, with their President Gerard Fasano flying in for the fun, and were happy to serve along with their customers. The th oughtful packages contained items such at Starbucks instant coffee, Sudoku puzzles, nuts, hygiene kits and much more. Not only does this event give locals a chance to show their appreciation for those serving our country, but gives our soldiers who are thousands of miles away a taste of home and a sense that those at home are thinking of them over the holiday season. Lexington MA has always had a strong tie to the freedom that our country is blessed to experience on a daily basis and is part of what makes this town so unique! There are many things to be thankful for this holiday season and for me, living in Lexington is one of the many elements of my life that I am so thankful for! As always, if you have any questions regarding the Lexington Real Estate market, I would love to meet with you! Feel free to contact me at any time and have a Happy Thanksgiving! 5 Unique Features that Can Help You Sell Your Lexington Home! Lexington MA is a great place to live for a variety of reasons. If you’re a history buff, you’ll enjoy the rich history Lexington has to offer. If you enjoy a close knit community; you’ll soak in the year round events that Lexington hosts. Beautiful homes in great neighborhoods are ideal for those who are looking for a great place to raise a family. And, while I hope that those who choose to make Lexington their home stay for good, I know that life happens. Job transfers, family changes and other various circumstances can produce the need to sell your Lexington home. It can be a little intimidating to think of selling your home knowing that the current Lexington Real Estate market is in favor of buyers. 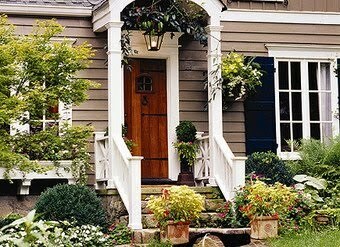 However, there are some tricks of the trade that can help you in making your home more attractive to Lexington buyers! Below are 5 unique features that can help you sell your Lexington home. 1. 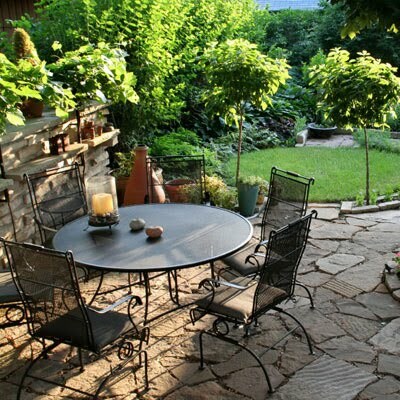 A Backyard Oasis- Creating a backyard oasis for your Lexington home can be a huge selling point to buyers. They will see this as one less project that they will have to do themselves and will easily visualize themselves relaxing in this scenic space. Be sure to use plants and items that are easy to maintain, otherwise buyers may be scared off by the amount of upkeep. If you’ve already created this space with delicate plants and flowers, just be sure to recommend a good local nursery where the buyers can turn to for questions, or feel free to make up a small “instruction manual” for maintaining the beautiful oasis you’ve created. 2. A Perfect Playroom- Oftentimes when looking at homes, one of the first things parents will look at is space for their children to play. If there isn’t a designated play area, some buyers might get the feeling that their children will be able to let loose. Whether you have an entire room that can be offered as a play area or just a portion of the lower level; make sure to enhance it with toys or décor to let buyers know it’s a play space. Keep it neat and free from damage such as crayon marks on the wall if it’s currently being used by your children. If, however, you’re in a neighborhood that appeals more to mature buyers or young, single professionals; a home office can have the same sense of appeal. 3. Unique Architecture- If your home boasts architecture that is unusual or unique to Lexington or your Lexington neighborhood, be sure to point it out! Whether it’s beautiful archways throughout the home, custom built-ins, a turret or even a classic “servants’ staircase”; your homes’ story can carry a lot of weight with buyers who want to feel part of Lexington’s rich history or unique character. 4. Bathroom Blisss- It’s no surprise that a beautifully updated bathroom with all the amenities one could want is a large bonus to Lexington buyers. Putting money towards creating a spa-inspired master bathroom can pay be a huge payoff in the sale of your Lexington home. Don’t have a lot of money to spend updating? Try changing out the vanity with a new style or update lighting fixtures and faucets. Anything you can do to update your bathroom will be well worth it! 5. Green Features- It’s apparent that the more we learn about our earth, the more people want to “go green.” If you already have green features in your home; highlight them! If not, you can start making your home green by using LED lightbulbs, replacing old windows with high performance ones, or trade out old appliances with new, energy efficient options. I hope these tips are helpful to you as you begin thinking about selling your Lexington home! Of course, if you need help in any way; let me know! Having worked as a Lexington Real Estate agent for years, I can help make the home selling process as smooth and as stress free as possible. Feel free to contact me today to get started! Mark your calendars for some great family events courtesy of the Lexington Historical Society! 1. A Family Program: "Honoring Veterans Through the Ages" featuring Period dress and music. 2. A Quick Trip to the Boston Athenaeum. Returns to Lexington by 1:00 PM. 3. The Holiday Festival Night - co-sponsored with LexFUN. Cost: Free - except small charge refreshments. Lexington MA, as we know, is full of a rich American history that offers visitors, as well as Lexington residents, the opportunity to experience life as it used to be and a strong sense of where we came from as a country. It’s the famous “shot heard round the world” that put Lexington at the forefront of history and those living in Lexington have beautifully preserved the towns’ quaint and historic atmosphere. However, great history is not the only thing Lexington has going for it! If music is your passion, you’ll find Lexington arts and culture side is alive and well and this weekend is your chance to enjoy the sounds of Lexington! This Friday evening, enjoy the sounds of live jazz as the Lexington High School students in the Seminar for Jazz Improvisation, student-directed Jazz Septet, and Combo present a night of jazz improvisation and music. Tunes will include favorites from George Gershwin and Ben Bernie. The concert will take place at Lexington High School on 251 Waltham street at 7:30pm. This free event is open to the public and is a great way to show your support for the Lexington school system and its students! 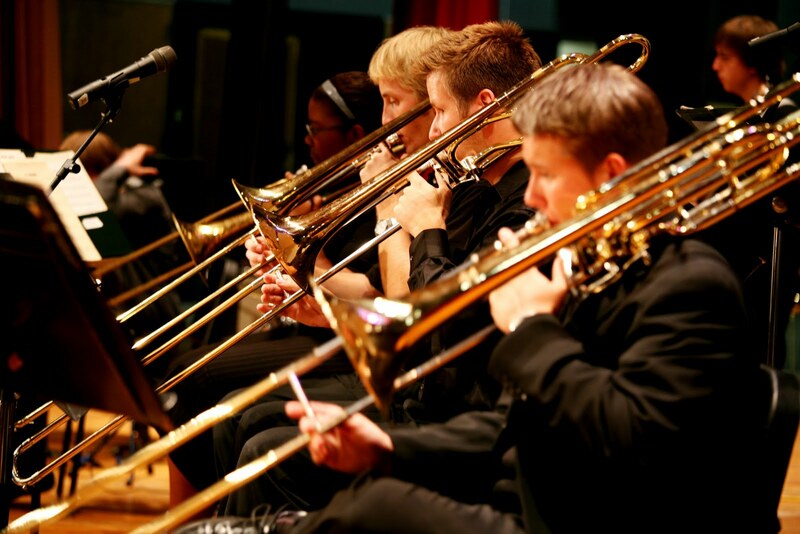 Another way to take in the sounds of Lexington this weekend is the kickoff concert for The Metropolitan Wind Symphony’s 40th season! This unique concert will begin with a lecture by MWS music director Lewis J. Buckley at 1:30pm that will enhance the . At 2pm, the concert will open with the beautiful music of John Heins’ Metropolitan Fanfare. The first half of the concert will also feature The Billboard March, Guy Woolfenden's beautiful Illyrian Dances, and Percy Grainger's classic Molly on the Shore. A special opportunity is presented in the entire second half of the show when Johan de Mej’s grand Symphony No 1 from The Lord of the Rings will be heard in its entirety! You don’t want to miss this magnificent concert from the Metropolitan Wind Symphony. View the MWS website for more information. I hope you get to enjoy one or both of these concerts this weekend in Lexington! If you are relocating to Lexington and are visiting to get an idea of what Lexington has to offer, please let me know! I’d love to set up a meeting with you to show you around or answer any questions about the Lexington Real Estate Market! I look forward to hearing from you! Lexington, MA - Thinking of renting your Home? If you have a historic Lexington Home - this clinic is for you! The Lexington Historical Society is holding an "Ask the Experts" Old House Clinic: Understanding Your Historic Wood Frame House. Description: Presented Jointly with Historic New England. Historic New England experts Joseph Cornish and Sally Zimmerman will present a seminar on maintenance and preservation issues related to wood frame houses from 1700-1860. Advance registration required by calling 781-862-1703 or emailing office@lexingtonhistory.org. $25: Lexington Historical Society/ Historic New England Members, $15: Historic New England Historic Homeowner Members, $45: Non-Members. Lexington, MA - Dentists offer Cash for Candy! Yes, that's right! A few of our local dentists are encouraging our young children to turn in their stash of candy for CASH! 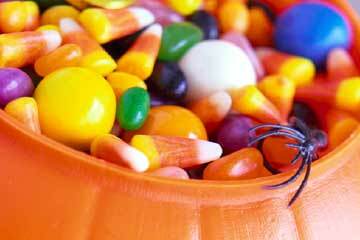 Dr. Thomas Puschak is offering to buy up to 5 pounds of candy from trick or treaters at $2.00 per pound. Candy must be wrapped and unopened. Bring to Dr. Puschak's office at 175 Bedford Street, Suite 14, Lexington - and pick up some cool cash! Dr. Fawn Rosenberg is offering $1.00 per pound plus she is giving glowing electric toothbrushes for those who are willing to ditch their stash of candy. Last year Dr. Rosenberg collected more than 1,500 pounds of candy. Bring your candy to Lexington Smile Studio at 922 Waltham Street, Suite 202, Lexington. Enjoy Halloween Fun in Lexington! Living in Lexington MA brings a unique twist to the Halloween holiday! The town’s rich American history enhances the imagination about those who lived in Lexington years ago and adds a sense of mystery that is ideal for the festivities of this coming weekend. There are many fun ways to enjoy the costumes, candy and Casper’s, but I wanted to highlight a few that are special to Lexington! come visit our neighborhood business to see what treates they have in store for you and your children! Bring your pre-school and elementary aged kids in their costumes to as many businesses as you can visit. 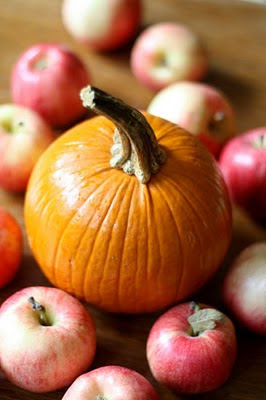 What a great way for the kids to collect their Halloween bounty in a safe and fun way. Just follow the orange, black and white balloons! The Lexington Depot is hosting the Old Burying Ground Walking Tour this Saturday from 6:30-7:30pm. You’ll take a lantern lit tour on foot through the graveyard and see Historic figures in Colonial dress rise from their graves and tell their stories! If you’re brave enough to take on this graveyard walk; you’ll find the experience not only an ideal Halloween event, but also educational as well! Hear how the first settlers lived in Lexington and their bone-chilling tales of life gone by! For more information and to get your tickets, contact the Lexington Historical Society. Another very unique event in Lexington involves helping children learn about taking care of their teeth while getting cash for their candy and reaching out to our troops! Sound interesting? This fun exchange takes place at the Lexington Smile Studio which has participated in the Halloween Candy Buy Back for the past nine years. Children are encouraged to bring their Halloween candy into the dentist where they will receive $1 per pound of candy! They’ll also be given a light-up toothbrush and other dental-care goodies! 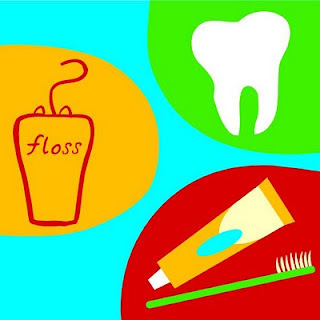 Children learn the importance of enjoying limited sugar in order to care for their teeth. All of the candy that the office collects is then sent overseas to our troops who aren’t able to be with their children and family for the Halloween festivities. Letters to the troops can also be written by the children and included in the candy packages that are sent. This event, which takes place from November 1-20 at the Lexington Smile Studio, is a fun way to share the joys of trick-or-treating as well as learning great hygiene. Visit the Halloween Candy Buy Back website or the Lexington Smile Studio for more information! If you are a current Lexington resident or are visiting Lexington this weekend; be sure to take advantage of these family-fun events! Lexington MA is an excellent place to live with its historic charm, strong sense of community and beautiful homes. If you’ve been considering buying a home in Lexington, but aren’t quite sure where to start; let me know! I’d enjoy answering any questions you may have about the Lexington Real Estate market and can show you any of the homes available in Lexington! Contact me today to get started! And have a safe and happy Halloween! 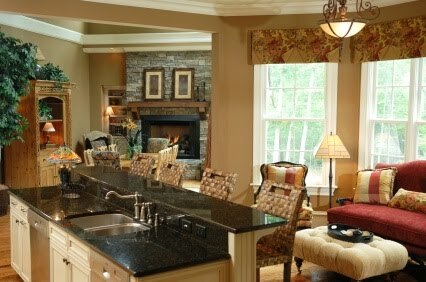 Kitchens and living rooms are combining to create a new look for kitchens. "Living room and family room activities are merging into the kitchen, and it’s changing how kitchens look," says Susan Serra, a home designer in Huntington, N.Y., who specializes in kitchens. "Particularly as homes are getting smaller, we’re using the kitchen for much more than we have in the past. Home owners want a more versatile floor plan." The walls in kitchens started coming down in the 1980s and 1990s, Serra says. First to go were walls separating the kitchen from the dining room and now home owners are saying goodbye to walls between the kitchen and the living room. Kitchens also are being designed in a less utilitarian way with larger windows, fewer cabinets, and softer lighting. What if your home doesn’t have these elements? There are simple things you can do to create that cozy, social feel that buyers are seeking. Install a kitchen island. Kitchen islands not only have functional benefits but also provide space for entertaining, informal dining, and extra storage. If your home doesn’t have one, consider a portable island, which can range from a butcher block to a breakfast table with bar stools. "Just make sure that the style you choose is consistent with your existing decor in the kitchen and the size is appropriate," says Ashley Whittenberger, founder and owner of Interiority Complex, a Texas–based staging and design company. She recommends at least 3 feet between the island and walls so there’s plenty of space to move around. If the kitchen island is large, add chairs to show it can serve as an extra gathering place. Look for comfy chairs. Skip the typical wooden stools for an upholstered bar stool with a back, recommends Whittenberger. Switch out traditional chairs around the kitchen table for wing chairs, a love seat, or even an upholstered bench. Soften the light. Use accent lights and sconces, usually associated with a hallway or den, Serra says. Numerous small lamps also will create a softer effect. Whittenberger suggests hanging a chandelier or light fixture over the kitchen island. Add storage. Buyers are always drawn to extra storage. Add a standalone cabinet, cupboard, buffet, or wall shelving. Stage cabinets with craft supplies to show that the space can serve many purposes. Display quality pieces. Take the artwork you may have once reserved for the living room and display it in the kitchen. Accessorize shelves with collectibles or books. Make sure the basics are strong. "If the bones of the kitchen aren’t strong, fix those first," Whittenberger says. "The condition of countertops, hardware, flooring, appliances, and cabinets aren’t going to be covered up by creating a cozy atmosphere." Come and enjoy the Annual Fundraising Arts & Craft Fair! 100+ Artisans will have their work featured. Proceeds to go to the support of the Lexington Arts and Crafts Society and Scholarships for local art majors. Which tree was used to make Native American baby formula? Which trees helped colonists to tan hides and make ink? Which trees are rare in Lexington and why are some found at the Paint Mine? What A Day to Be In Lexington, Massachusetts! Our Lexington Battle Green tour guides have been very busy with tourists telling them about our history. Bright blue, sunny sky and perfect Fall temperatures welcomed some out of town guests today to our Lexington Battle Green. The backdrop of the Lexington Battle Green is amazing. The Fall leaves are a blaze with color. I took some quick photos today - hope you enjoy them! Come join other Lexington preschoolers and caregivers at Cary Memorial Library. Each week three or four short films based on young children's books will be shown. 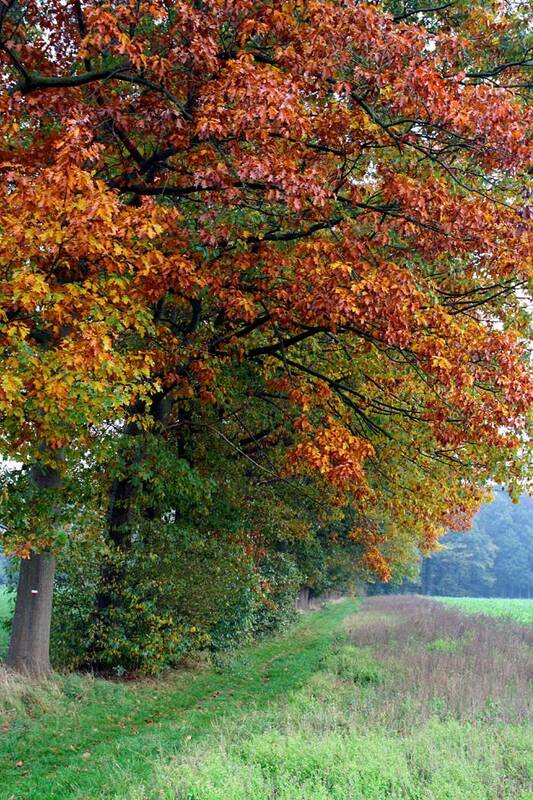 Take A Walk In The Woods And Enjoy the Fall Colors! Katahdin Woods and Tophet Swamp Conservation areas. There is a shallow stream to cross by walking on stones, so wear appropriate shoes. See diverse habitats such as marsh, streams, open field and forest edge, hawks, deer, raccoons, beavers and more! There is a picnic table if you would like to pack a lunch. Enjoy the Sights and Tastes of Autumn in Lexington! A vibrant backdrop of bold reds, oranges and golds enhance the fall season in Lexington MA! Visitors from across the US take time each Autumn to explore New England’s most stunning display. Those residing in Lexington are privileged to live in the middle of the main attraction, but there are many other ways that locals enjoy soaking in the fall season! Apple orchards and pumpkin patches abound and offer a fun and interactive way to enjoy the sights and tastes of this great time of year. Lexington is home to one of the best farms where you can spend the day picking your favorite apples and searching for the perfect pumpkin to carve! The Wilson Farm, which was established in 1884, still carries the tradition of excellent produce, cheeses, breads and much more- all grown and baked right on the farm! The Wilson Farm also offers fun events throughout the year to highlight each season. Don’t miss Octobers’ full calendar of hayrides, costume and pumpkin carving contests and much more! Of course home owners in Lexington are partial to this historic farm right in their backyard, but there are many other places around Middlesex County in which to celebrate Fall! Below are a few favorites, but you can visit PumpkinPatchesandMore.com to view a complete list of Massachusetts farms. At Carver Hill Orchards, you can walk through the orchard with your family for an idyllic day in the country. But Carver Hill is more than a pick-your-own apple orchard; it is a family tradition, and an experience that your family will remember for a lifetime! Belkin Family Lookout Farm is recognized as one of the oldest continuously working farms in the country! The land has been farmed since the mid-1600s when it was first deeded. Autumn apple–picking in its orchards has become a deep–rooted tradition for New England natives and visitors alike for over a century. It’s goal is to provide healthy, outdoor, family fun activity while maintaining the farm’s long-rooted history and importance within the community for years to come. Honey Pot Hill Orchards, is a 200-acre family owned and operated farm since 1923. Now 100% retail with their apple shop, pick-your-own fruits, and family fun entertainment, all here for you and your family to come enjoy. You’re invited to come visit our orchards, pick-your-own apples and enjoy the beautiful countryside. Visit the apple shop and view the hundreds of old farm tools hanging from the walls. Honey Pot Hill Orchards looks forward to making your visit to the orchard enjoyable and full of great memories. I hope you take advantage of all that the fall season in Lexington has to offer and that these suggestions spark some ideas for things to do this week! If you have any questions about Lexington and what life is like in this historic community; please let me know! Whether you’re visiting or are looking to move to Lexington, my goal is to help people feel at home in Lexington. If you haven’t started your Lexington home search yet; I would be happy to show you some of the available homes! I look forward to hearing from you! 10 Tips for Selling Your Lexington Home this Fall! Lexington MA is a wonderful place to call home, and those of you who currently live in Lexington you’re sure to agree! Yet sometimes life calls for a change of scene because of a job situation or other extenuating circumstances, in which case selling your Lexington home becomes imperative. So, how do you step into the Lexington Real Estate market and begin the home selling process? Below are 10 tips that will help you get your home ready and improve the chances for a stress free sale this fall! 1. Focus on curb appeal- Selling a Lexington home during the fall certainly comes with one advantage: The season's beautiful foliage can automatically make your home more attractive for showings. However, you still need to do your part to keep your home looking its best. Start by sprucing up your lawn: Keep falling leaves at bay with frequent raking and patch up any brown spots in the grass. 2. Appeal to the senses- As the weather cools down in Lexington, make your home a warm, welcoming space where buyers will want to stick around. If you encourage them to stay awhile during showings, you give them more time to admire your home's best features. 3. 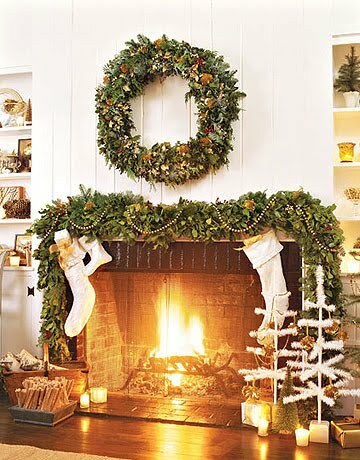 Flaunt your fireplace- A warm, inviting fireplace is a great selling point as the weather gets cooler. Highlight this fall-friendly feature by arranging your furniture to make your fireplace a focal point. Place a mirror, artwork, vases or other tasteful decor on top of the mantel to make it even more prominent. 4. Update your listing photos- If your Lexington home has been listed since spring or summer, talk with your Lexington Real Estate agent about updating your home’s marketing with brand new fall shots. Pictures from the previous season make your listing seem dated. 5. Think like a buyer- Buyers have the mindset that fall sellers missed the boat and are desperate to unload their homes. After all, why didn't you sell in the spring when Lexington buyers were out in full force? Fall house hunters are looking for bargains in Lexington, so be prepared for lowball offers and non-serious buyers. Manage your expectations and negotiate accordingly, depending on your motivation. 6. Hire a reliable real estate professional- As if selling your home isn't stressful enough, you're probably preparing for the holidays during the fall also, and possibly helping the kids ease into a new school year. During this hectic season, you definitely want a great Lexington Real Estate agent to take some of the pressure of selling your home off your shoulders. If you are still searching for an agent; I’d love to help you sell your Lexington home! 7. Price it right- While spring is the busiest season for Lexington Real Estate sales, fall usually sees a small surge of buyers trying to find a bargain before the holidays. If you want to grab the attention of these deal-seeking Lexington house hunters, you need to price your home competitively -- possibly lower than comparable homes in your neighborhood. Setting your listing price just right could lead to a bidding war, resulting in a higher sales price for you. Work with your Lexington Real Estate agent to price your home correctly. 9. Beware of TMI (too much information)- Buyers think fall sellers are in dire straits, so don't do anything to add to that perceived advantage and lower your potential selling price. For instance, if you are moving out of Lexington due to a job transfer, it's best not to offer up that information -- at the very least, downplay the urgency. While you are obligated to disclose everything about the property's condition, you aren't obligated to disclose your personal situation. 10. Be flexible-While fall isn't the hardest time to sell a home in Lexington, it's not the easiest either, so be willing to work with buyers to help your chances of making a quick sale. Offer to pay for closing costs or repairs, and be adaptable when it comes to showing your home and holding open houses. If you really need to sell your Lexington home, you need to accommodate buyers' busy schedules as well. This might mean opening your home to strangers on weeknights and weekends. I hope these tips are helping as you think of selling your Lexington home! Again, if you do not have a Lexington Real Estate agent; I would love to talk with you! I have years of experience in the Lexington Real Estate market and can make this process as easy and stress free as possible! Contact me today and let’s get started! Lexington Event Promotes Health and a Stronger Community! Living in Lexington MA means being a part of a strong community that supports each other and the growth of future generations. Lexington has a great atmosphere for everyone and offers activities and ways to connect within the community on a regular basis which lends to the towns vibrant lifestyle! One of these great activities is taking place this weekend with the 1st Annual Hastings Harvest 5K Run/Walk in which the entire Lexington community is welcome to join! This fun event is being put on by the Maria Hastings Elementary School PTO, and all benefits will go to support the school. The day will begin with a Kids Fun Run at 10am followed by the 5K Run/Walk at 11am with registration for both events beginning at 9am. Running through the course in the scenic Lexington community offers people a chance to support a local school as well as take in the beautiful season. Health and fitness are important to the community as well and this race will be a great way to promote an active lifestyle for the students. A celebration after the race will include an awards ceremony, picnic, entertainment and games for the kids! 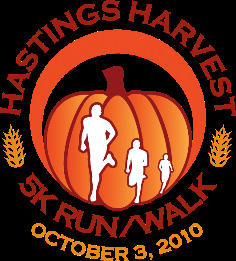 For more information on this event, visit the Hastings Harvest 5k Run/Walk website. Being in a great community is a key ingredient to enjoying the town in which you live. I feel honored to live in Lexington where neighbors genuinely care for each other and the well-being of the town, not only for the present, but for years to come! Having events such as the Hastings Harvest 5K Run/Walk offers residents a chance to meet new faces, enjoy a healthy lifestyle, support Lexington and build into its’ future. If you have been searching for a town like this, perhaps Lexington is the place for you! Homes in Lexington are offered in a variety of styles, sizes and price ranges; so there is sure to be one that fits your needs! I have been involved in the Lexington Real Estate market for years and can make the home buying process and easy, and even fun, experience. I would love to show you some of the Lexington homes that are available! Please contact me today to set up a time to view some of the great homes in Lexington! Does your teen want to learn to cook? Would you like to learn to cook? There are two classes being offered by Sonia DeMarta (co-founder of the Lexington Farmer's Market) in her Lexington home this fall. 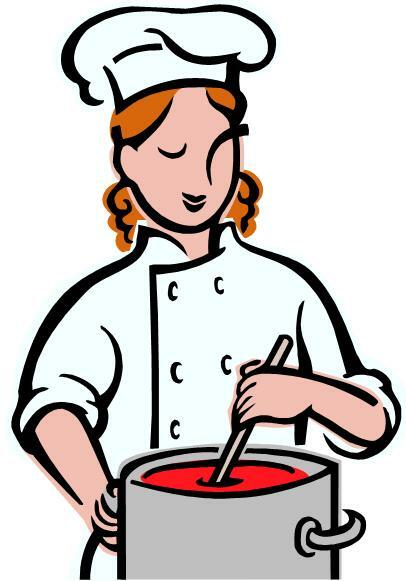 Teen's In the Kitchen class will be held on Tuesdays in October from 3:00 to 5:00 PM. Moms In the Kitchen classes are aimed at mothers looking for new cooking ideas or to improve their cooking skills. For further information, contact Sonia DeMarta at 617-645-2231 or soniademarta@gmail.com . With signs emerging that the economic recovery is slowing, mortgage rates continue to hover at or near record lows and demand for purchase loans remains weak, surveys by the Mortgage Bankers Association and Freddie Mac show. Rates on 30-year fixed-rate mortgages averaged 4.37 percent with an average 0.7 point for the week ending Sept. 23, Freddie Mac said in releasing its weekly Primary Mortgage Market Survey. That's unchanged from last week, and not far off the 4.32 percent record low seen during the week ending Sept. 2. At the same time a year ago, 30-year fixed-rate loans averaged 5.04 percent. Rates on 15-year fixed-rate mortgages were also unchanged from last week, remaining at a record-low 3.82 percent with an average 0.7 point. That's down from 4.46 percent a year ago. Rates on 5-year Treasury-indexed hybrid adjustable-rate mortgage (ARM) loans averaged 3.54 percent with an average of 0.6 point, down from 3.55 percent last week and 4.51 percent a year ago. That brought rates on 5-year ARM loans back down to a low in records dating to 2005, last seen during the week ending Sept. 2. One-year Treasury-indexed ARM loans averaged 3.46 percent with an average 0.7 point, up from 3.4 percent last week but down from 4.52 percent a year ago. How to Hold a Successful Lexington MA Garage Sale. Garage sales can be a great way to get rid of clutter — and earn a little extra cash — before you sell your home. But make sure the timing is right. 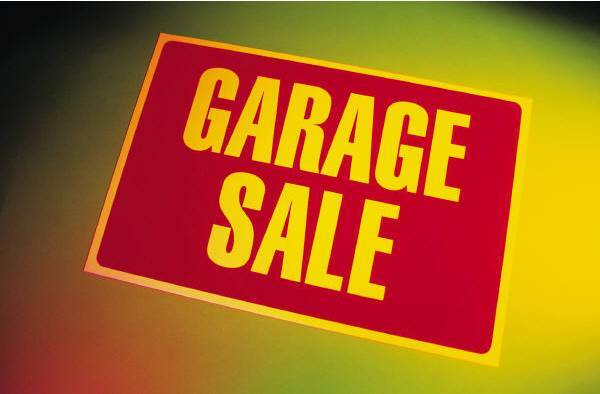 Garage sales can take on a life of their own, and it might not be the best use of your energy right before putting your home on the market. 2. Ask if you need a permit. Most municipalities will require you to obtain a special permit or license in order to hold a garage sale. The permits are often free or very inexpensive, but still require you to register with the city. 7. If it’s really junk, don’t sell it. Decide what’s worth selling and what’s not. If it’s really garbage, then throw it away. Broken appliances, for example, should be tossed. Know where a nearby electrical outlet is, in case a customer wants to make sure something works. 12. Prepare for your home sale. Donate the remaining stuff or sell it to a resale shop. Now that all of your clutter is cleared out, it’s time to focus on preparing your house for a successful sale!